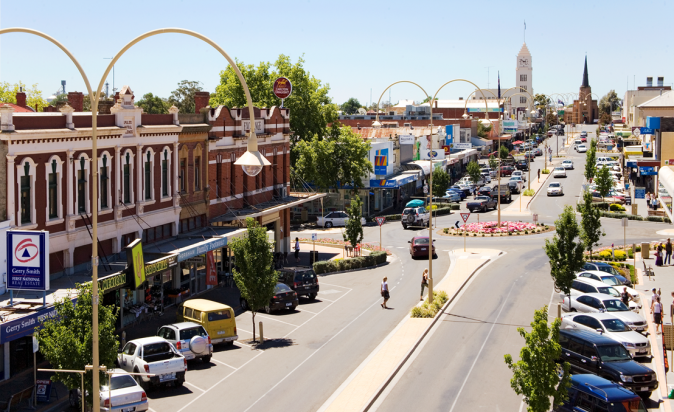 Horsham, known as the Cosmopolitan Capital of the Wimmera, is a bustling commercial centre located on the banks of the Wimmera River. The beautiful Grampians National Park and the Wartook Valley region are only 30 minutes south-east of Horsham. Take your time and indulge in some amazing breakfasts and beautifully prepared lunches at one of the many new cafes in Horsham. Good food and wine is easy to find with fresh, local produce being used in the restaurants and bars around town. Fast becoming the adventure capital of the Grampians region, Horsham is the official host city of the 2018 World Junior Motocross Championships. Base yourself in Horsham and take the 30 minute drive to Mt Arapiles which is part of the Mt Arapiles – Tooan State Park, which has stunning views from the top. You can drive, walk, cycle or climb to the summit of the “mount”. The 500 seat Horsham Town Hall Performing Arts facility combines heritage features with modern design. This unique venue has been redevelopedto create a modern, accessible, community arts and conference facility. The Horsham Regional Art Gallery is home to a nationally significant collection of Australian photography charting its history from inception to today. Discover the Horsham Public Art and Heritage Trail that winds its way through the streets of the CBD and down to the Wimmera River. Always rated in the top 50 public access golf course the Horsham Golf Club has the reputation as one of the best courses in country Victoria. The new large clubhouse has a restaurant, café and function rooms with stunning views of the golf course.